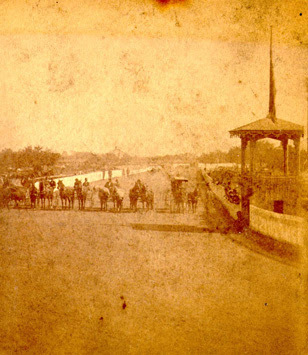 Although we have not had horse races in Sandusky for quite a while, the trotters were popular in town for many years, beginning about 150 years ago. 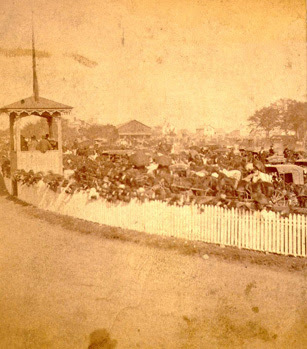 When the Ohio State Fair was held in Sandusky in 1858 the new fairgrounds (off Wayne Street, where Cable Park is today) included a state-of the-art race track. 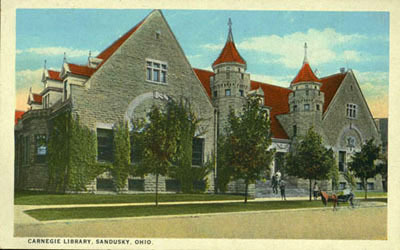 The Sandusky Register previewed the racecourse in its August 7, 1858 edition, declaring that it "will be one of the finest courses in the state." It was a mile-long oval, fifty feet wide, "with a 'home-stretch' of 100 rods" (2.5 furlongs, or 550 yards). 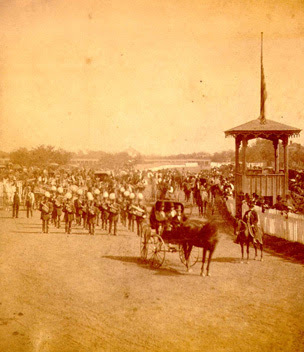 Its inaugural races were held on September 2, 1858, with races all during the state fair in September. Entrants in those early races appear to have been mostly residents of nearby communities who wanted to show off the quality of their horses and their racing carts. Winners at the fair's races received purses of $50. Additional newspaper articles show that the races were still popular into the 1920s, with a track record $5000 purse (worth about $50,000 today) offered on July 30, 1924. Fascinating. Had no idea that such a race track existed in Sandusky. "Silversmith Maid" - great name! I didn't know the State Fair was ever in Sandusky! Even as a Buckeye transplanted to the Lone Star State, I still learn something new about my native Ohio all the time! Thanks!